As you may know, all of our Wine Club shipments include a recipe meant to be paired with the new release wines included in the shipment. 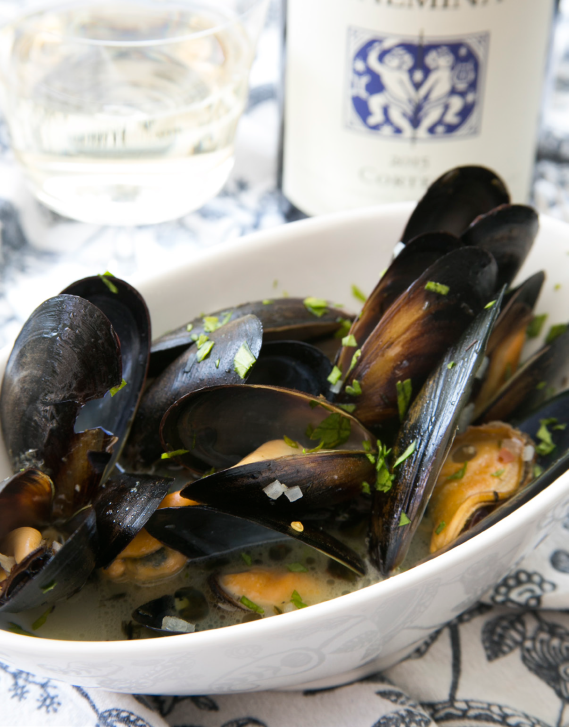 We've been asked repeatedly to share these food & wine pairings, so here's one of our most recent: classic and simple, steamed mussels paired with our 2015 Cortese, a wine with bracing acidity and refreshing minerality, meant to be enjoyed with seafood! Wash and clean the mussels. Throw out any fresh mussels that do not close when tapped. have opened. Throw out any unopened shells. Put Mussels into a deep dish, pour over the broth and sprinkle with Parsley.